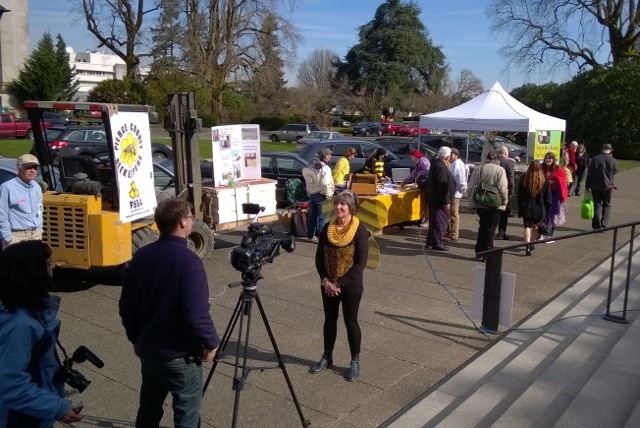 WSBA 2016 legislative agendaThe Honey Bee Work Group was mandated by the 2013 legislature and convened by the Washington State Department of Agriculture to include representatives from beekeepers, tree fruit growers and seed producers. 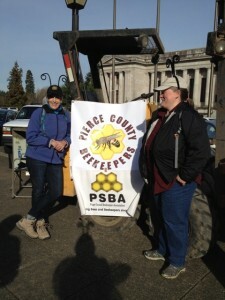 PCBA had the largest group of beekeepers there. Members attending were: Marge Pearson, Andy Matelich, Charles Schaffer, Becky Sundstrom, Kristina Statler, Jim and Karol McCaig, Lisa Garnett, Beth Samuelson, Franclyn Heinecke. As always, the observation hive got a lot of attention. Thanks to Charles Schaffer and Andy Matelich for that beautiful box with bees! Washington’s Honey Bee Work Group recommends improving forage to help bees survive and thrive. Legislature-commissioned report puts emphasis in restoring forage to revive health of honeybee colonies in Washington. 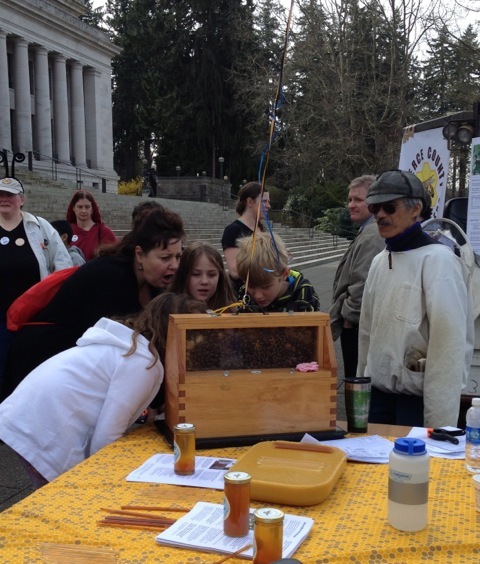 Helping Washington State Bees and Beekeepers — This flyer reviews the issues and where WSBA is asking for legislative support. Increasing bee forage across the state. 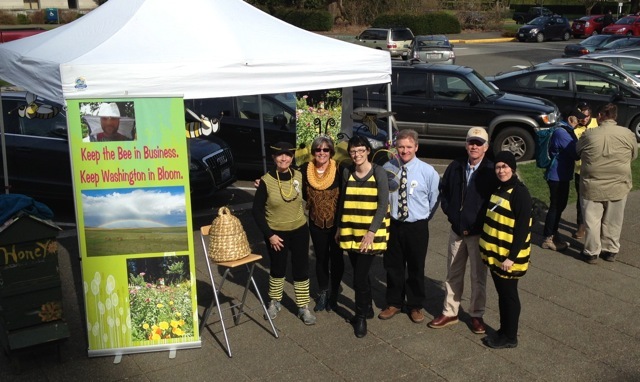 Incorporating honeybee and pollinator concerns into the noxious weed board listing and control efforts. 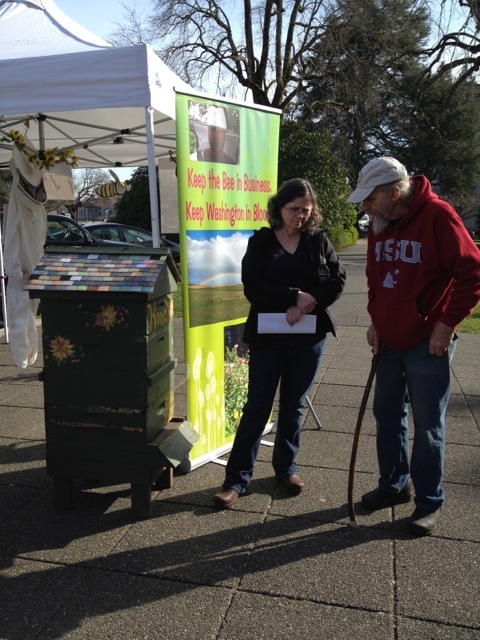 Increasing research into Varroa mite control, honeybee genetics and issues of increased forage. Designating beekeepers as farmers for tax purposes. 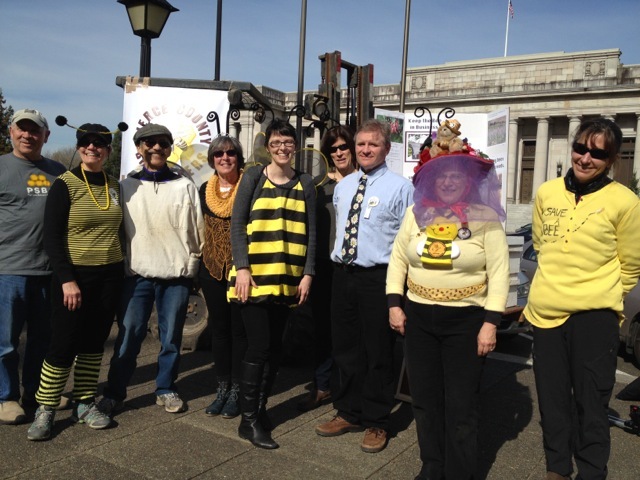 Funding a more comprehensive bee lab at WSU, and hiring two full-time positions there.